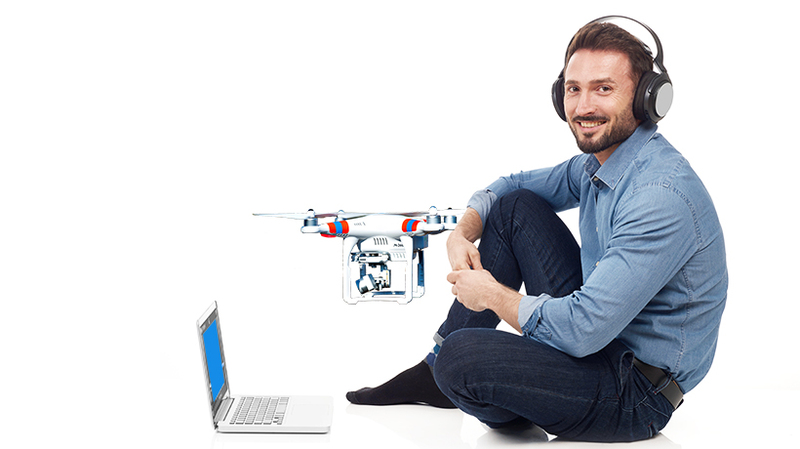 Drones for Beginners New to the drone industry? This online video based course answers the most common questions about drones. Get the ultimate drone class for beginners. If you have any questions about Drones for Beginners, please ask us. Our reps are standing by to help. A strong foundation in drone basics you can rely on. For budding hobbyists and professionals who want to use drones for work. Built by a top U.S. Navy Pilot & UAV expert. Seamless, hi-def video lets you learn any time, anywhere. Watch at your own pace with six months of unlimited, on-demand access. Our elite team of UAV experts developed Drones for Beginners to equip you with the most up-to-date, essential drone knowledge.